Went to Nagappara near Teekoy. Nagappara is good for an evening picnic. 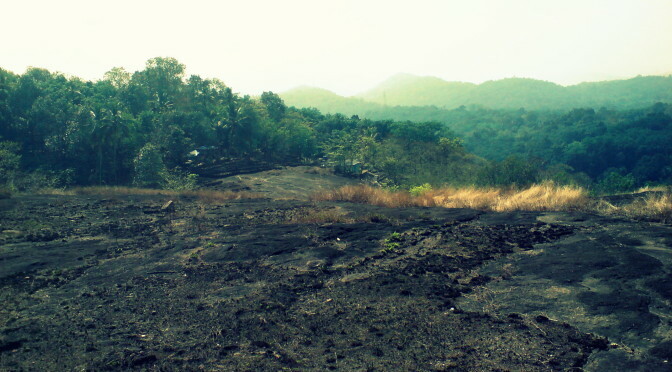 Enjoy the scenery from the top of the huge rock formation. 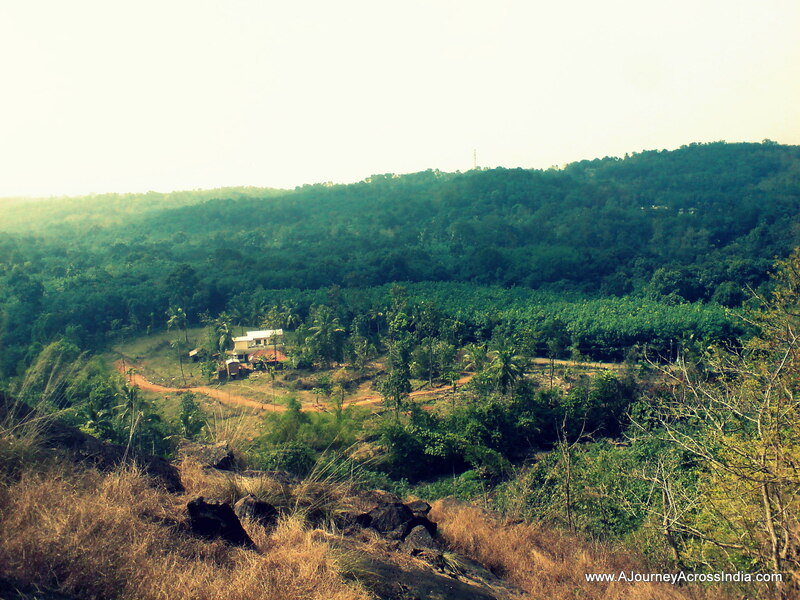 The place is around 5 kms from Eerattupetta. Distance from Pala is around 18 kms. It is on the way to Wagamon hills. 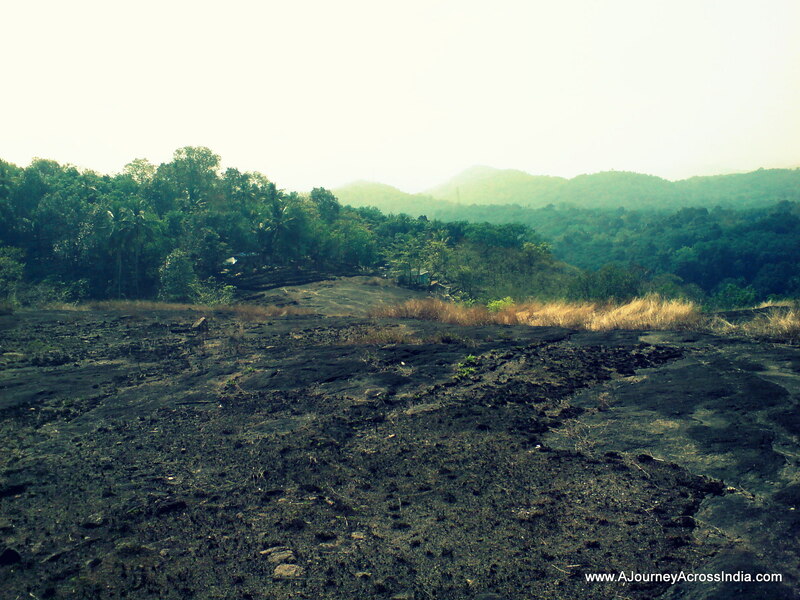 There are two routes to reach Naagappara. Route 1. From Teekoy town, ask for Santhigiri Church. Park your vehicle near the church and climb the rock from the back side of Santhigiri church. 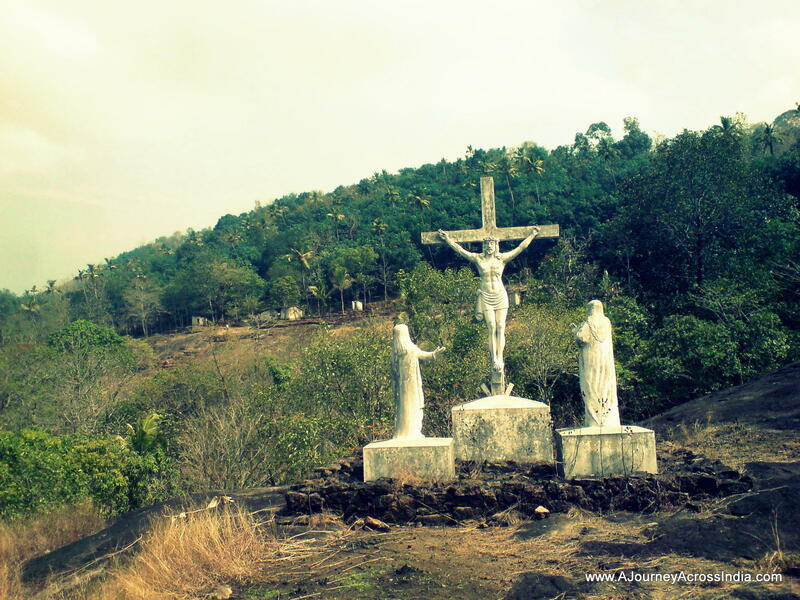 A new steep road is under cunstruction from Santhigiri church to Nagappara. The route takes a deviation from the Santhigiri – Cherippadu concrete road. Route 2: Ask for Teekoy Nagappara road. This route is on the way to Ayyampara. 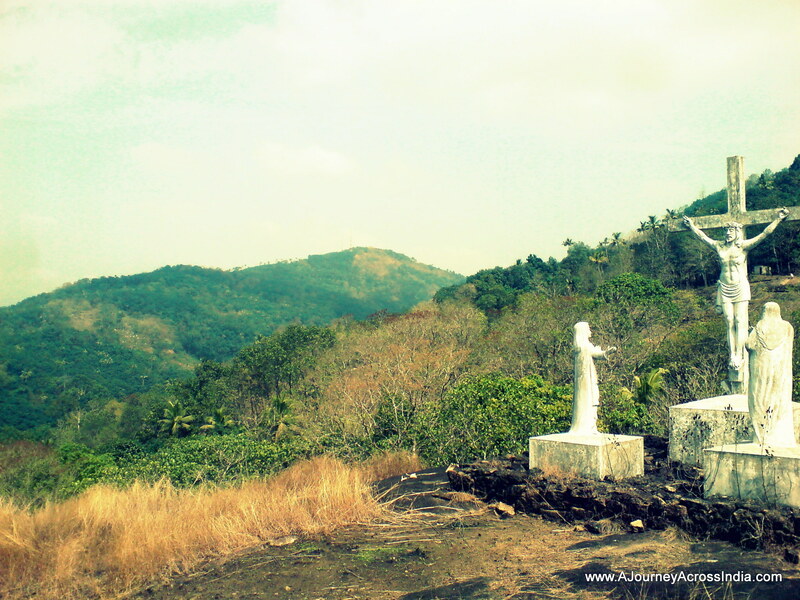 If you are coming from Pala/Erattupetta, take a left turn just after Teekoy Church. 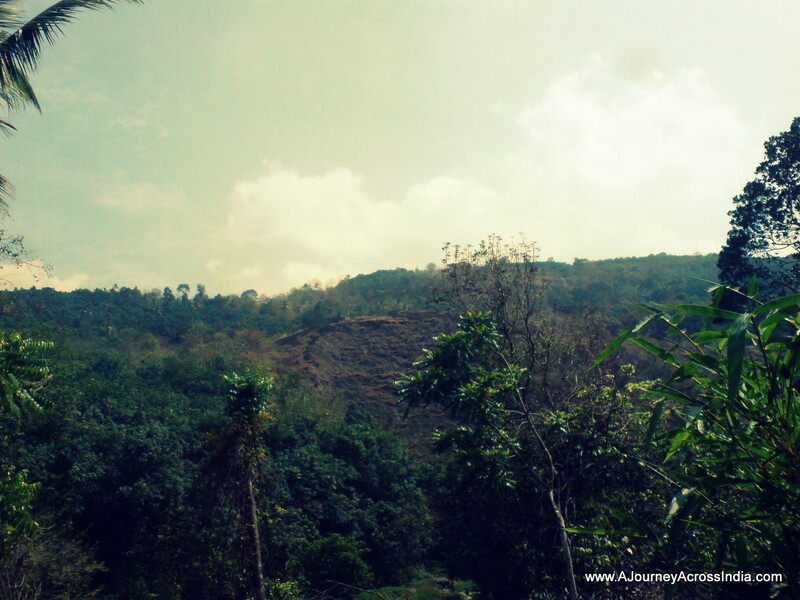 This is the Teekoy-Ayyampara road. After around 300 to 400 meters, there is a left deviation. Take that road and near the end of the road, there is a small concrete road to Nagappara. The concrete road is very narrow and steep.